Good to Know: Is a front differential re-build a job you want to tackle yourself? Find out here. Tires 101: Pick the rubber that's right for you. 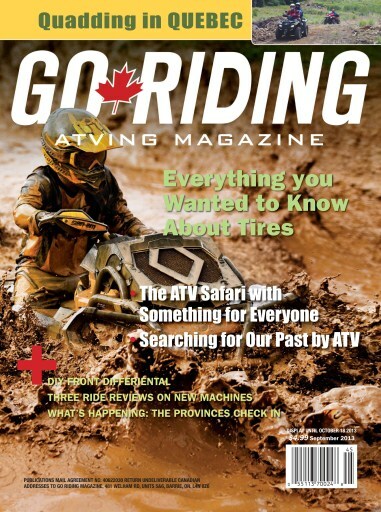 Searching for Our Past Discovering Ontario's History by ATV. Stay and Ride Guide: Matachewan, an ATVers paradise. Plus provincial updates, the PG and A Showcase, Industry Watch, Insurance 101 and more!